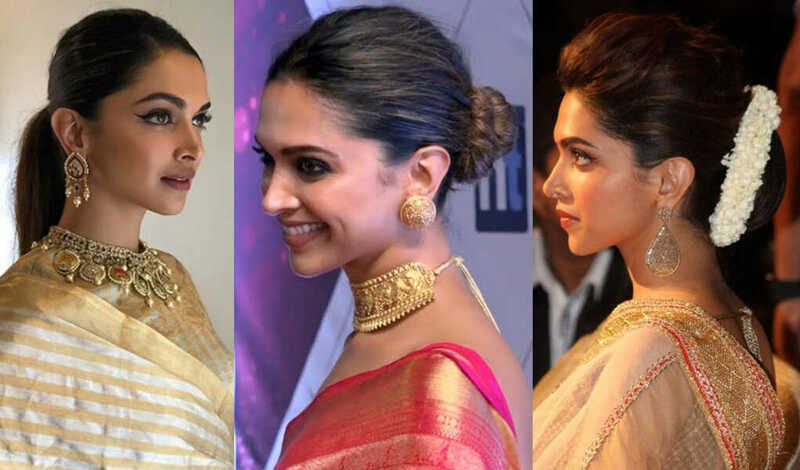 Deepika Padukone Hairstyles With Sarees - Style Inspiration! So you are thinking of sporting a saree and looking for some style inspiration? Who other to take inspiration from none other than the diva itself: Deepika Padukone. In case you are unable to decide what hairstyle to go for with the saree, here is some inspiration. 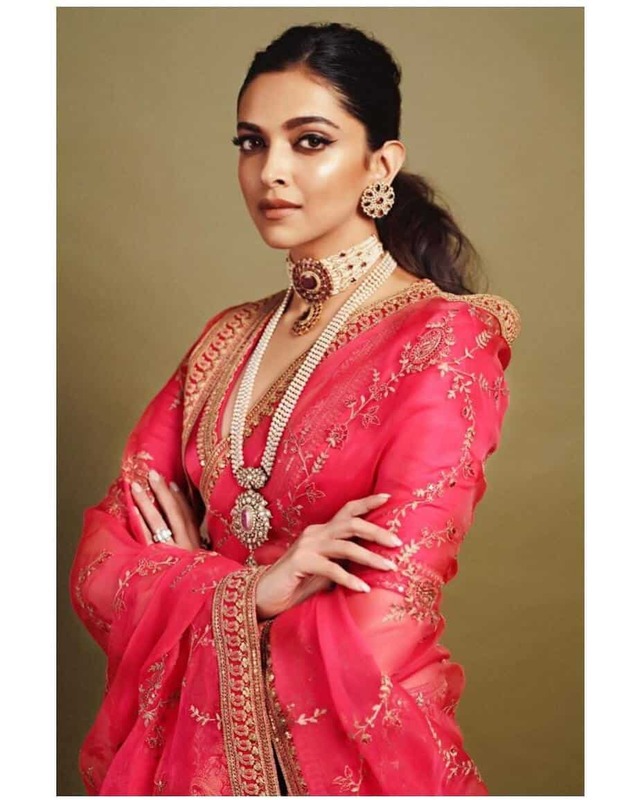 In this article, we are summing down a few hairstyles Deepika Padukone has been seen wearing with sarees. Now Deepika has been a pro at styling her saree looks ever since her debut in Om Shanti Om. Every time she steps out in a saree, she slays. A lot of us girls are confused when it comes to selecting hairstyles to go with a saree. You want to look glam but also want your saree to get all the attention it deserves. Complicated and overly done hairdos just overwhelm your look with too much going on altogether. 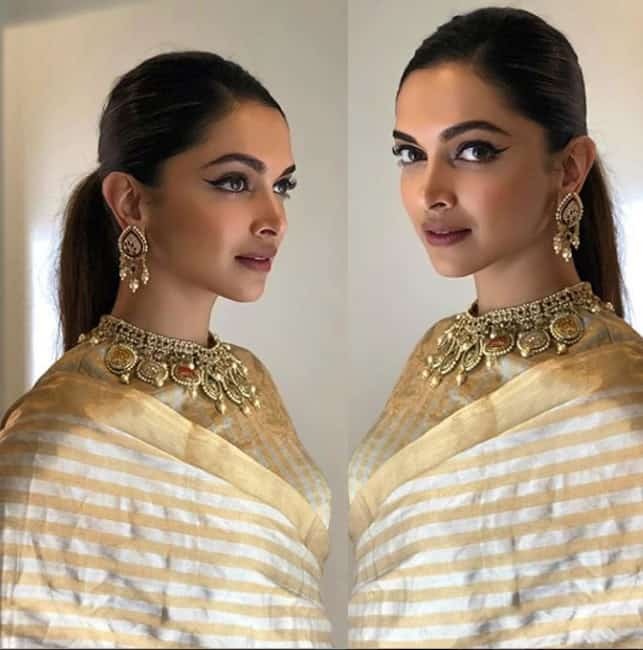 So fret not girls, we have narrowed down a few hairstyles that Deepika Padukone swears by when she is wearing a saree. Trust us, these are the most basic and simple hairdos that anyone can make at home. There are mainly two kinds of Hairdos Deepika has been seen sporting recently every time she wore a saree. 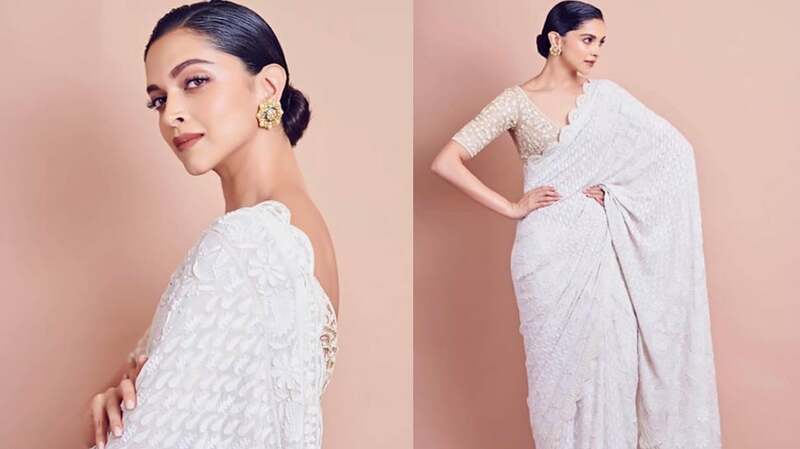 The buns seem to be Deepika Padukone’s favorite hairstyle when it comes to wearing sarees. She keeps altering the style of the bun but basically, it is one of her most worn hairstyles with sarees. She was seen wearing this gorgeous scallop border off white saree by Rahul Mishra and guess what, she was sporting a sleek bun again. This kind of bun with sleek and pulled back hair gives a very clean look keeping the focus on the makeup and the outfit. This picture is all kind of dreamy and yet again she is seen wearing a bun with the saree. 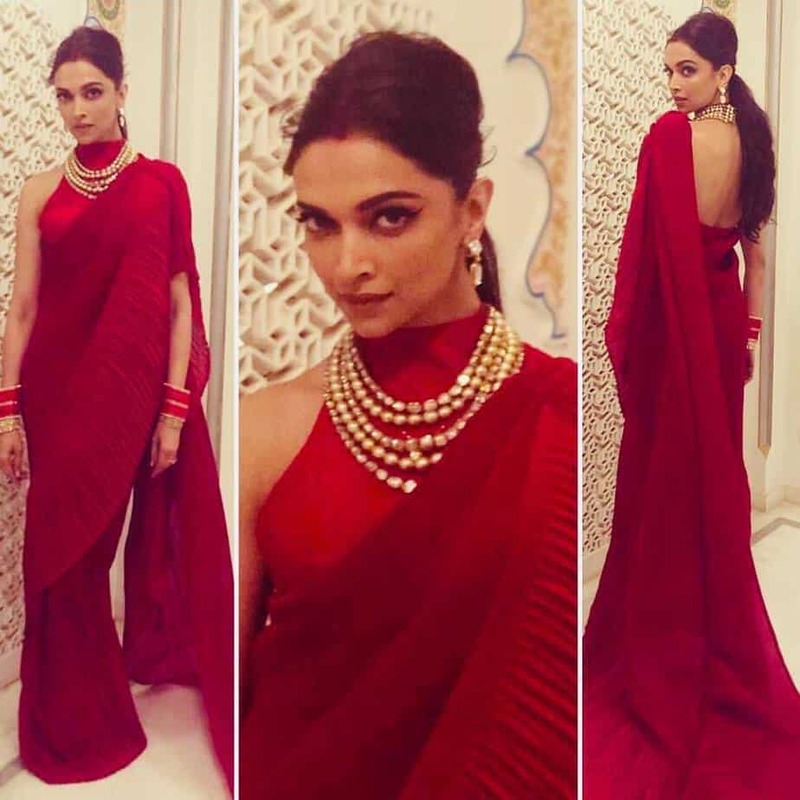 So moving on from the gorgeous Sabyasachi saree, here Deepika Padukone is seen in a middle-parted bun. 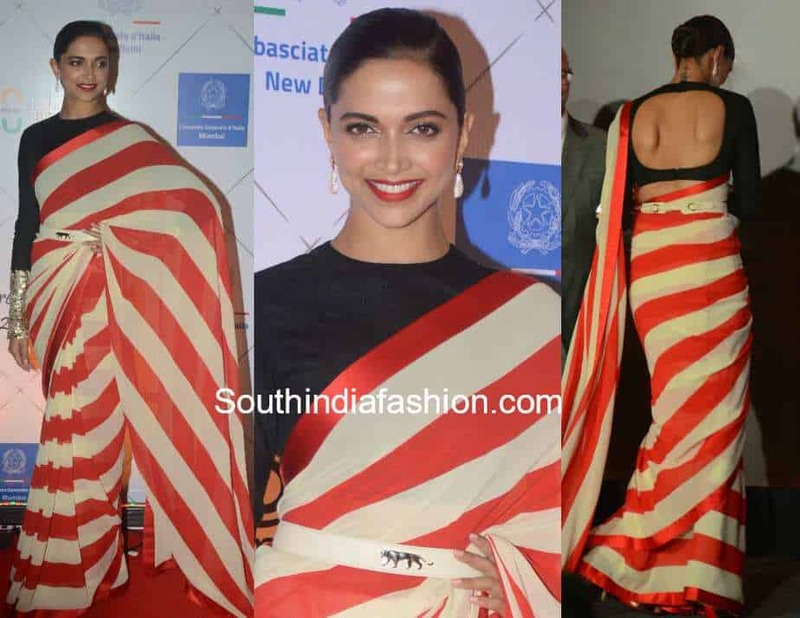 Deepika was again seen wearing a sleek bun with the cute candy cane saree by Sabyasachi. The hairdo complements the high neck of the blouse and keeps the focus on her face and the saree. In one of her post-wedding looks, she was seen carrying this beautiful off white saree with a red blouse and a bun yet again. Notice that she is wearing a side parting in this bun which makes it look a little less traditional. If you are not into neat sleek buns with partings, go for Deepika’s favorite- The puff. She loves styling her hair with a puff or bouffant hairdo on the front. You can also go for a puff on the front with a gajra bun. Next up is the second most worn hairstyle by her- the pulled back hair ponytail. Yes, the good old ponytail can also look glam if worn right. She wore a sleek middle-parted ponytail with this contemporary saree by Anamika Khanna. 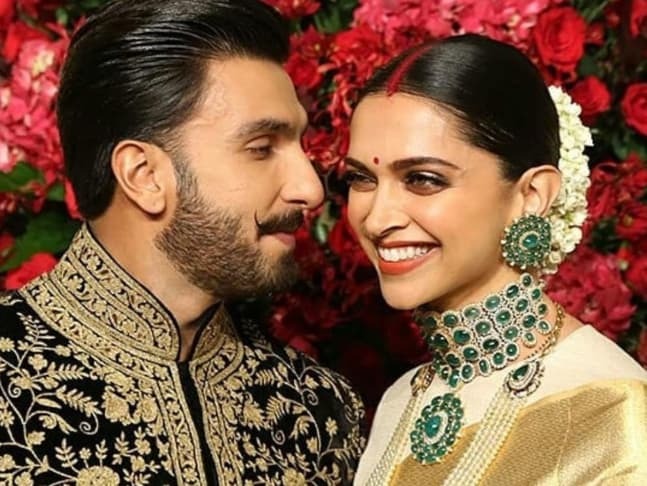 After her wedding, Deepika was seen in this ruffle saree at Isha Ambani’s Sangeet ceremony. She looked ultra-glamorous with this center-parted messy ponytail look with the saree. you can also achieve this look easily by teasing the hair at your crown while making the ponytail. A wavy ponytail with lots of texture and curls behind looks so beautiful on this Pink Sabyasachi saree. This is one of the classic hairstyles you can opt with a saree. Deepika did it too in her looks from Chennai express. Deepika’s saree looks are incomplete without the most popular saree- This blue number from Ye Jawani Hai Diwani. It is by far the most glam look and the open wavy hair totally complements the look. The loose curls look perfect with a saree if you have long hair.